What’s that? A fabulous free book, you say? Yup — sign up here. 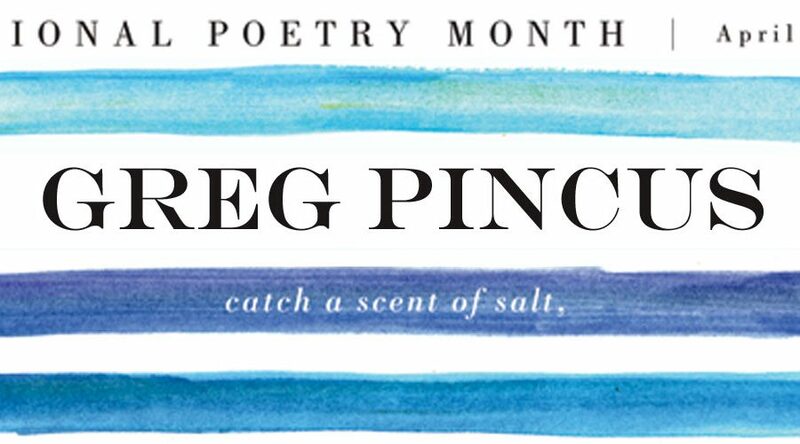 Get ready to pucker up and plant a big one on your favorite pooch, because today’s poem celebrates the love of man’s best friend for…well, man. 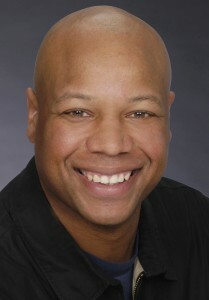 A versatile poet and actor, Charles has performed professionally in theaters across the country for over a decade, and dedicated three years of service to Poetry Alive!, a performance and teaching theater troupe that reaches an estimated 600,000 students nationwide each year, and with whom he performed in 38 of the 50 states. When not performing, Charles keeps on writing, writing, writing, and over the next two years we’ll be seeing plenty of him. 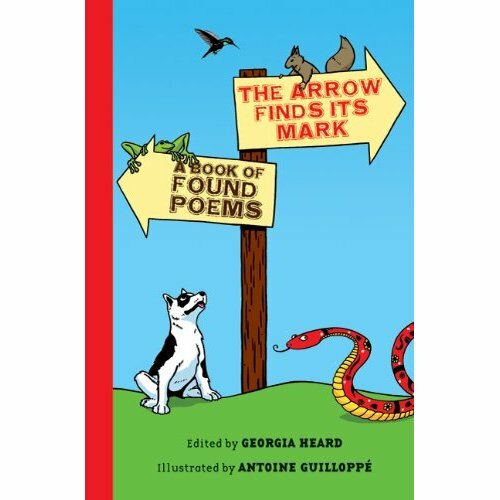 Besides having work in the just-released anthology The Arrow Finds Its Mark: A Book of Found Poems edited by Georgia Heard, his poems are slated to appear in the upcoming anthologies Amazing Places, edited by Lee Bennett Hopkins; National Geographic Book of Animal Poetry, edited by Children’s Poet Laureate J. Patrick Lewis (who will be here on April 30! ); and And the Crowd Goes Wild: A Global Gathering of Sports Poems, edited by my Madness! poetry tournament foe Carol-Ann Hoyte and Heidi Bee Roemer. Oh, and because he is a magical man and has more hours in the day than the rest of us, he also performs his one-man show Poetry Time with Uncle Charles for elementary and middle school students. That’s an awful lot of poetry goodness! you make a mean pot roast. I can’t beat you in tag. I know it’s cliché — so what? I’m happy to be your mutt. Charles: who are you, where are you, and how long have you been a rhyming fool? I am a professional actor who currently works at Walt Disney World. I live in Orlando, FL, and have been a rhyming fool since the Spring of 2004 when I wrote my first children’s poem called “There’s a Fly in My Eye.” The poem is as bad as the title sounds, but you have to start somewhere! Nena is a VERY smart pooch indeed. I wrote the poem about a year ago. Although it isn’t about Nena in particular, it does concern all dogs who love their owners as much as the owners love them, if not more so. You have quite a few poems coming up for publication in anthologies over the next two years. Will we find more political pooches in the mix? And how long did it take you to sniff out the path to publication? Nope, no pooches in the upcoming anthologies, although one poem is about another fascinating animal, the toucan. The path to publication was really about networking with other children’s poets over the years: friending them on Facebook, e-mailing them via their websites, and especially meeting them at conferences sponsored by SCBWI (Society of Children’s Books Writers and Illustrators), NCTE (National Council of Teachers of English), and IRA (International Reading Association). After a while, if these contacts know you’re serious about the craft and may have something to offer writing-wise, they might commission you for their anthologies. Word of mouth spreads — if one poet likes your work, they’ll pass that info on to the next one and off you go! At least that’s what happened and hopefully will continue to happen to me. What is your favorite part about being a children’s writer, besides getting to hang out with a furry sidekick? There are so many great parts to choose from! Though I think it’s when the pen’s flowing or the fingers are tapping away and it feels like I’m taking dictation from the Universe. After traveling extensively with Poetry Alive!, you now have a one-man show called Poetry Time with Uncle Charles. Can you give us an idea of what those programs are all about? And has performing poetry had any effect on how you write a poem? Poetry Alive! 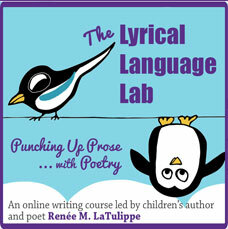 is a program that helps teachers improve student literacy through poetry performance techniques, including a focus on character, setting, action, and feelings, as well as having a confident stance, facing your audience, projecting your voice, and using the space. In my own show, I basically perform my poems following the Poetry Alive! format — just me, two chairs, and no props. Performing my own children’s poems definitely helps with writing — I can tell if an audience isn’t feeling a particular poem I’m performing, which means I have more revisions to make to that poem. You might have noticed that No Water River is also all about lifting poems off the page and setting them free in the wild. Given your performance background, what pearls of wisdom do you have for kids about reading poetry aloud? Every kid will have to speak in front of an audience at some point in their lives. It’s inevitable, like rain and sun. What I encourage you to do is to think about what the poem you’re performing means and become what you’re acting out, be it a dog, a restaurant owner, or what have you. The more you focus on those things, the less likely you’re going to worry about being in front of people. Breathe, focus, and see what happens — you’ll surprise yourself at how well you do! 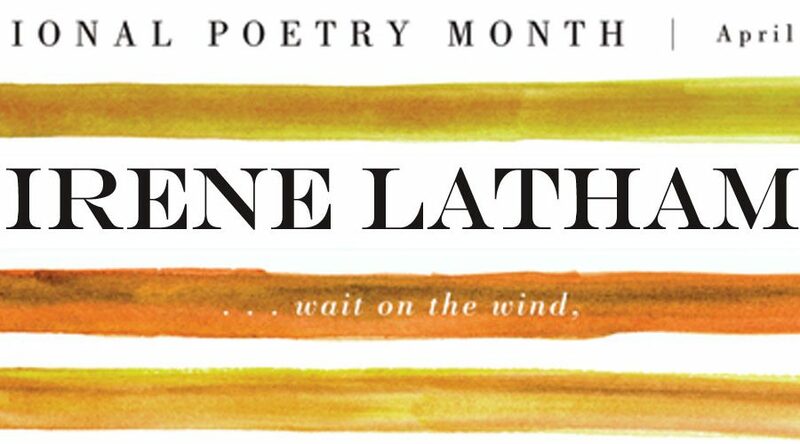 Do you have formal training in writing poetry? I have taken writing courses with Lee Bennett Hopkins and Rebecca Kai Dotlich, but I haven’t had any extended formal training. It’s been a ton of trial and error. I will say that performing children’s poems with Poetry Alive! helped me immensely, because I was saying the words of the best writers on a weekly basis for 30 months. Speaking of performing, I started acting in college and had my first professional job at the North Carolina Shakespeare Festival in the Summer of 1997. Spending time with seasoned actors with words as rich as Shakespeare’s was an acting lesson in itself. Read and write, write and read, all the time! What’s your best advice for poets who want to get their poetry published (other than “don’t bother”)? If you could recommend that children read one book of children’s poetry or one children’s poet in particular, which or whom would it be? Why? That is a tough question because there so many to choose from. I will say that one book that really got to me is Bronx Masquerade by Nikki Grimes because it deals with humanity at its most honest. You all can visit me online anytime — but before I tell you where, I’d like say that Nena is the dog of Isabel Garcia and Gabriel “Gaab” Guerra, who generously allowed me to use that sweet pooch in the video and helped me record it. You can find Gaab here and Isabel here. As for me, here I am! Thanks for stopping by, Charles, and for adding “A Dog Manifesto” to No Water River’s growing video poetry library! Read Charles’s bio and a review of his work with Poetry Alive! Students can think about what they feel strongly about and write their own manifesto — or the manifesto of someone or something else, as in today’s poem — in poetry or prose, humorous or serious. Youth Space offers an excellent overview on how to write a manifesto, and provides samples and a manifesto template. The Humane Society of the United States offers dozens of lesson plans for PreK-12 covering all “academic skills and major character concepts—kindness, citizenship, fairness, respect, responsibility, and integrity—while reinforcing those ideas as they apply to our treatment of animals.” Lessons include everything from the PreK Animals Have Feelings, Too lesson to a five-part anti-dogfighting unit for higher grades. This is a really fantastic resource! There are lots more pet- and animal-related lesson plans available online: try the dog lesson plan at Discovery Education; fun activity sheets at PetWeek.org; and twenty-five lessons, activities, and crafts at Perfectly Preschool. In the kitchen: make homemade dog biscuits with this Martha Stewart recipe, then have dogs in a sweater for lunch. Charles has poems in here ~ and many more to come! washes up on shore on Friday with a poem that’s downright fishy. Video Location: Orlando, Florida, where Nena and Goofy coexist peacefully. Another wonderful poetry video. This is such an exciting month!! It’s like an awesome world I didn’t even know existed! All these years I have missed out because I wasn’t writing!! OK….I’m getting sappy! But, seriously, my head is dizzy with rhyme & rhythm & meter! And all these incredible poets!! There aren’t enough hours in the day to do all the writing & reading about writing that I want to do :•) Thanks Renee!! And thanks Charles Waters! I’m with you, Penny! I’m kind of spinning in circles right now, but when the vertigo dissipates, I’ve got to get down to some serious reading and writing! Pooch poems are right down my alley. Very nice! Thanks, Renee and Charles. Thanks, Renee and Charles! No surprise that Charles is a fantastic poetry reader. And he’s gone about the process of getting published very smartly. In poetry especially, networking and the online community can be so crucial. It’s not that you get published because of who you know, it’s exactly what Charles said: you show up, you participate, people know you’re serious, they like your poems, and they invite you to submit for stuff. Charles has been a great example of how to make that work. I’m proud to be in some anthologies with him! True, Laura — that was some interesting info for sure. Obviously, the poetry has to be good, but it seems that’s not all there is to it. An eye-opener! My paws are up in the air and my tail is wagging fast! OK, I have neither paws nor tail but I am enthusiastic about this terrific poet post! My 9 yr old wanted to know more about what a ‘manifesto’ and a ‘cliche’ were, so this was a very educational addition to Poetry month. Thank you Charles and Renee! Leave it to two theatrical types to come up with another terrific post and video adventure! Thank you, Renee and Charles. I’d been looking forward to seeing/hearing Charles here this month because of his extensive performance background, which he has obviously carefully honed. Head pats to Nena for a lovely cameo appearance! A deep bow for everyone here, Robyn – and thanks! Any poem about a dog is a sure winner in my book. Thanks to you and Charles! At this point, it’s cliche’ to say, “You’ve done it again, Renee! Another informative, fun post!” So glad I dropped by! Thanks Julie and Pam! Paws up! Charles is a total performer, and I kid you not that he can light up a room with his voice and smile. He’s one of the rare type who needn’t worry about being upstaged by a cute dog! Great to see him here. Thanks for the poem and interview, Charles and Renee! I told Charles I was worried about him being upstaged, but as soon as I saw the video, I knew the worries were unfounded. A great performance by both! I am a lover of dog poems because my brother runs a non-profit to save them, so a manifesto about that relationship, however tongue-in-cheek, is just awesome to see, & hear! Thanks Charles and Renee for such entertainment! Aw, what a wonderful thing your brother does! I unofficially dedicate this post to all his furry wards. Charles, with his acting and Poetry Alive! experience, brings so much to children and teachers too. He has a gentle exuberance which he brings to performance as well as real life. And that, coupled with his love for writing and kind humor, make him a person I wish my children could spend time with. Heck, I want to spend time with him! Come to visit us in Buffalo, Charles! Anytime! a. It seems like everyone knows Charles! I need to get out more… Thanks for your always-kind comments, Amy! So fun having all these guest videos! Charles has a wonderful voice! His programs sound great, and I love that line about taking dictation from the Universe – that is what it feels like when the wiring is going well! of course that was supposed to be writing, not wiring! What a great reading voice! I look forward to reading more of Charles’ poems. Thanks so much Renee and Charles, these posts are wonderful! Poetry Alive sounds fabulous! Not only did it help shape a children’s poet but has also influenced 7,000,000 students! Wow! your website is first rate. I know it’s cliché — what? how? It’s how I feel so, ciao! Well I am just THRILLED to meet Charles. And Nena! Thank you, Renee! And Charles, if you are reading this: once upon a time i too worked at Walt Disney World in Orlando. During College. I earned a Mouster’s Degree. 🙂 If only I had your polish and smile…. lovely, lovely! Thanks so much for sharing. Fun poem, Charles. Good job at being a good dog, Nena! This is a great series, Renée. Thanks all! I want to be a Poetry Alive performer in my next life! Sounds like loads of fun! Thanks for the advice about navigating the road to publication! Hope to see you again at NCTE in November!! What a lovely post and video. Love popping back here and watching these videos… Great stuff!